An injured runner-friend and I were recently talking about lifting — you know, the strength-training we runners tend to ignore until we get hurt and are chastised by a smart physical therapist who says we should know better. 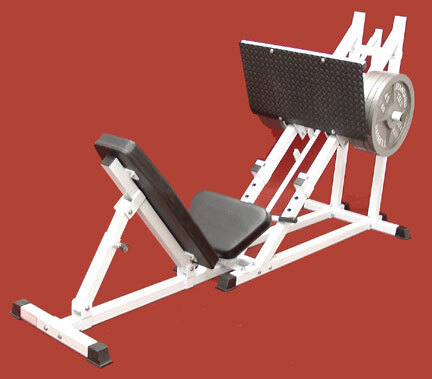 My friend and I agreed that when we stop lifting and then start again, we literally feel stronger and more stable almost immediately, like the simple act of doing a few sets of single-leg leg presses can increase our strength and erase our muscle imbalances. I got lazy about lifting leading up to the Marine Corps Marathon, and even after, when my usual gym at the National Naval Medical Center- Bethesda closed. I added my routine back to my workout schedule a couple weeks ago to great effect — I’m sore pretty much all the time, since I’m basically starting over, but I already feel stronger and more balanced. On Friday, at my new gym, I got an unexpected bonus. A trainer named Lenny saw me alternating core and arm exercises, and asked a tantalizing question: “Do you want me to show you something that’ll set your arms on fire?” This is like a Nordstrom salesman asking a serial shopper: “Do you just want those boots for free?” He proceeded to show me a series of moves that did, indeed set my arms on fire. And my abs. And my back. Just one example: He had me do chest-presses on an incline with an unweighted bar — but had me hold my legs in the air at a 45-degree angle to work my abs, too. My abs are still literally sore to the touch. On Sunday, I got a similar treat when I attended a strength-training class for runners held by Robert Gillanders, an ultramarathoner and physical therapist I’ve profiled for Examiner.com. The class at the Water Street Gym in Georgetown included several of the exercises shown in the injury-prevention workout Gillanders created for Examiner.com, but some of the tweaks still caught me by surprise. One example: While doing the plank position, he had us move one leg back and forth. Yeowch! This week, I’m feeling motivated by this return to the weight room, which I’m adding to my existing IT band plan. Better yet, Gillanders’ class gave me a few new moves to add to the mix. Also motivating me this week: the promise of a post-run happy hour at Adega, a cool little restaurant and wine bar in Silver Spring, after my group run tomorrow night. Oh — and my desire to run off the Christmas cookies I baked yesterday. 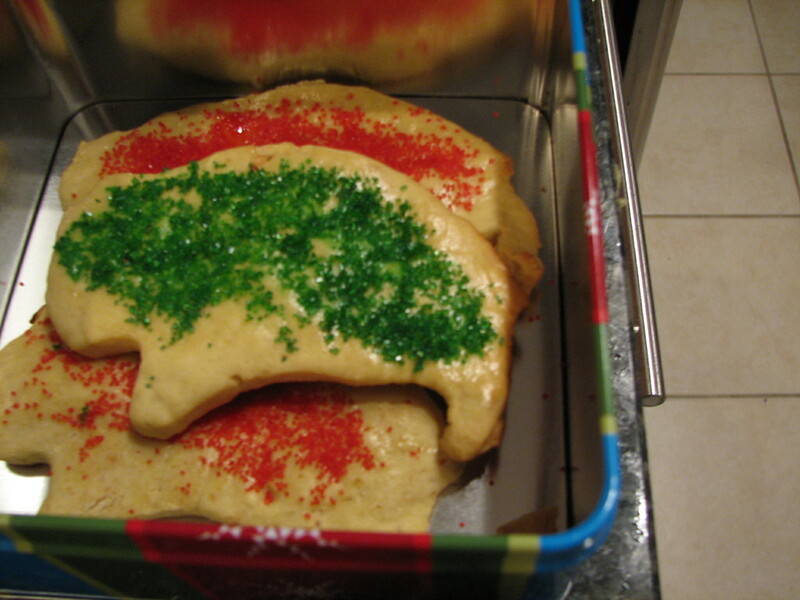 Because my beloved University of Colorado’s football team may have lost to Nebraska on Friday, but this CU fan is still making Buffalo-themed Christmas cookies. have fun at the hh tonight!